World Community Service: (Jim Hann) WCS is a committee comprised of Scottsdale Rotarians who gather medical equipment, supplies and other useful items and distribute them to worthy recipients in the Valley, around Arizona and in Mexico. Traditionally, this committee makes multi-day trips to Mexico in order to donate materials, enjoy the opportunity for fellowship and shop. Spouses and friends are welcome to participate. GSE (Group Study Exchange): (Dr Honora Norton) This is one of Rotary International's signature programs. GSE Teams consist of four young business professionals selected for their occupations and led by a Rotarian to a different country, for the purpose of accomplishing projects and spreading peace and understanding. For more information, go to the GSE page on the District 5510 website. Gift Of Life: (Scott Miller) The Gift of Life, literally saves lives, the lives of children. This organization brings children from under privileged parts of the world, to the Valley, to undergo needed heart surgery. 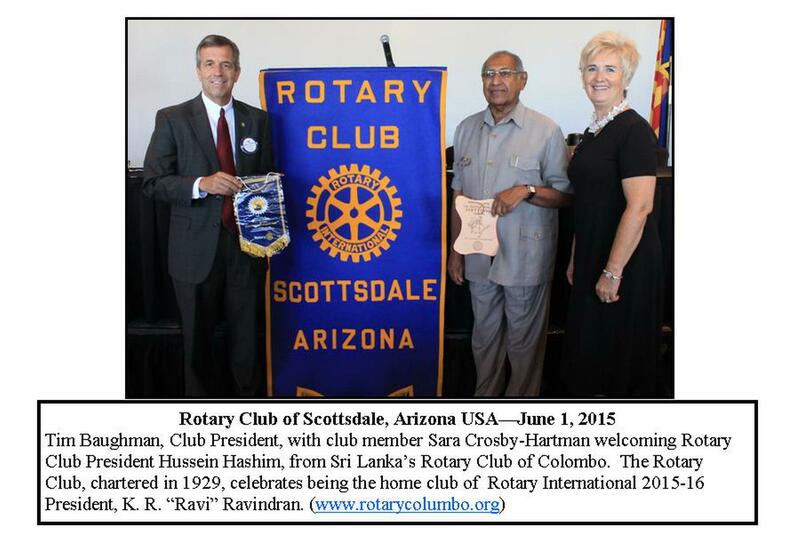 Individual members of the Rotary Club of Scottsdale have not only given financial support to this organization, but have also hosted the children and their families while they are in the Valley. For more information, go to Gift For Life Arizona. Youth Exchange: (Mike Savastio & Sarah Crosby Hartman) This program allows both inbound and outbound high school students to travel and study in foreign lands for an entire year.